At JPG Photography, we have some serious Manayunk pride. Our studio is only a few blocks away from the infamous and lively Main Street, full of great shops, bars, and restaurants. 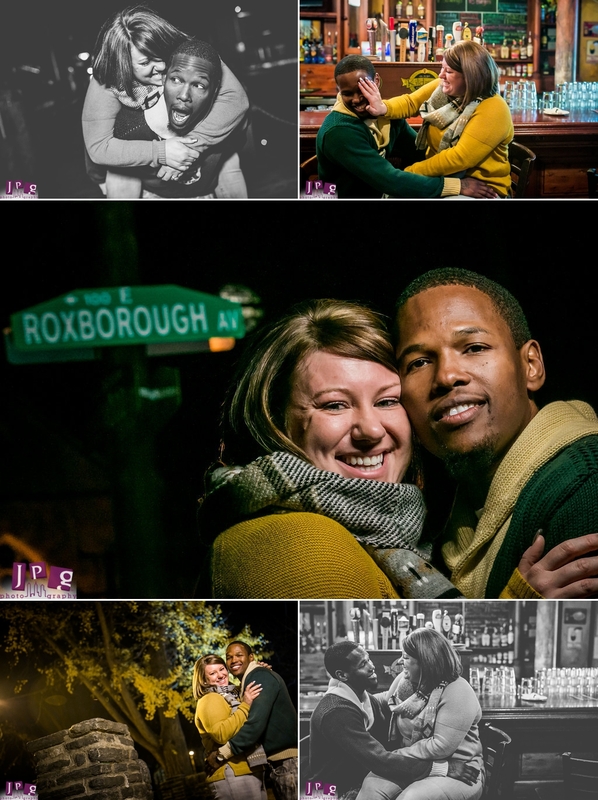 We love our neighborhood as well as our neighbors, so we were really excited when former locals Emilie and Jamar asked us to shoot their Manayunk engagement session. We stepped out our front door, and took a short walk to the heart of town where, not surprisingly, we found a ton of awesome photo ops. 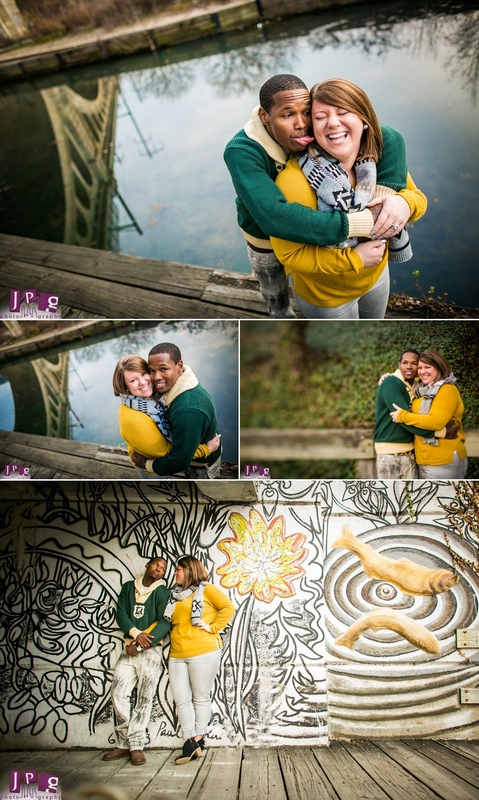 Emilie and Jamar are a playful, happy, and animated couple. 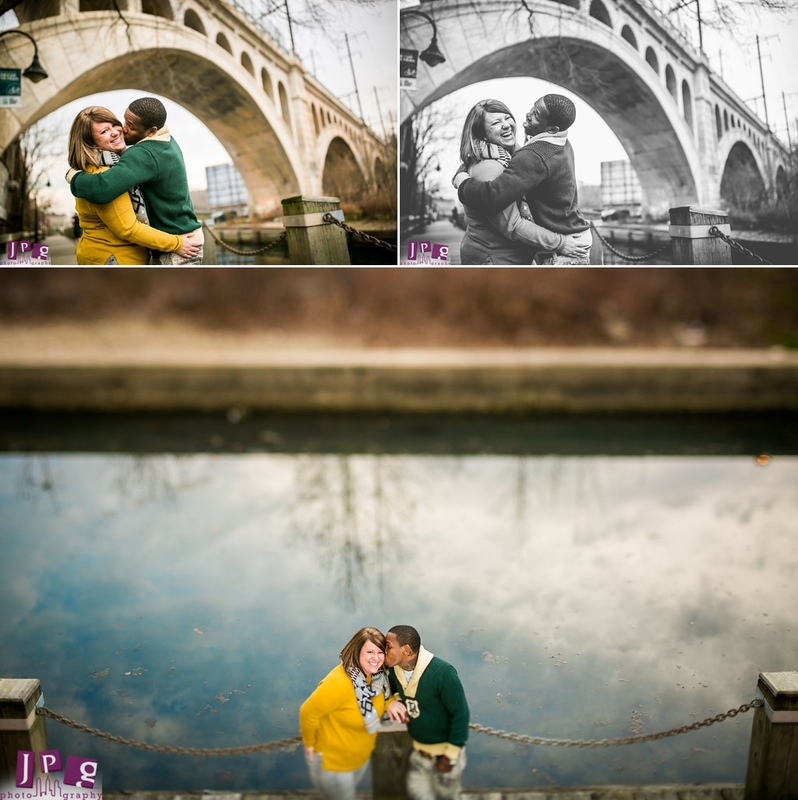 Their spectacular chemistry was enhanced by our hometown, starting with the Manayunk Towpath. The scenic walkway runs parallel to the river, and captures the area’s historic essence. The bride and groom-to-be cozied up surrounded by the classic architecture of the Manayunk Bridge. 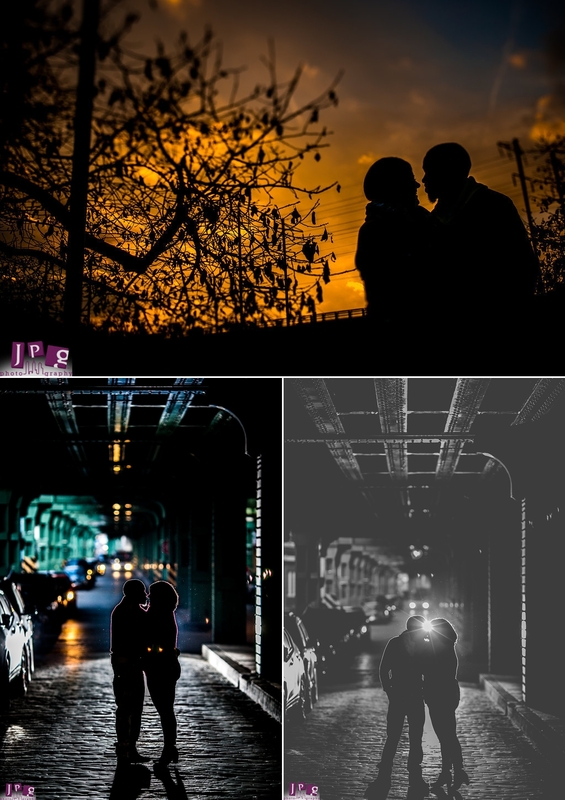 Manayunk is full of urban colors and textures, so we made sure to capture our fun couple silhouetted by cobblestone streets and the industrial elevated line of the SEPTA Regional Rail. No trip to Manayunk is complete without visiting one of the excellent bars on Main Street, so we wrapped up the evening with a drink. 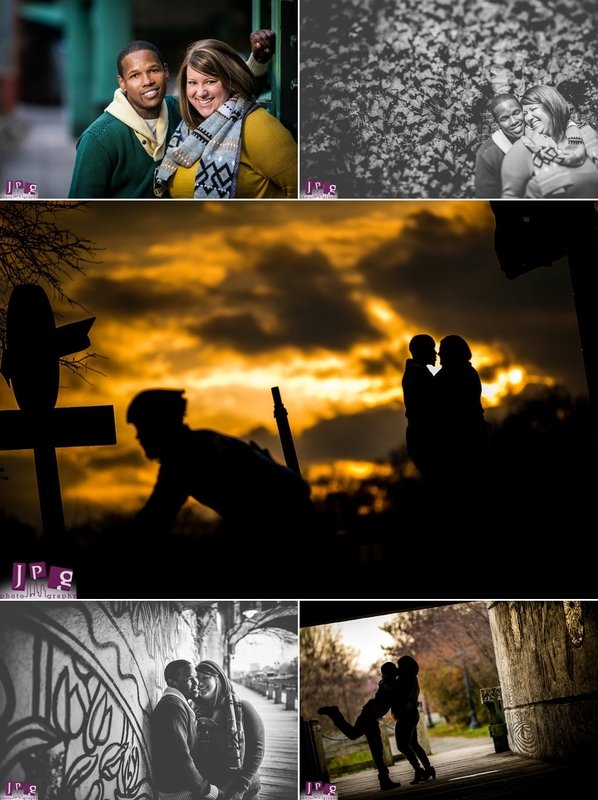 We can’t wait for all the fun we’re going to capture at Emilie and Jamar’s New Years Eve wedding in Philly. Until then, we wish our neighbors lots of luck with all of the planning. See you guys at the end of the year!